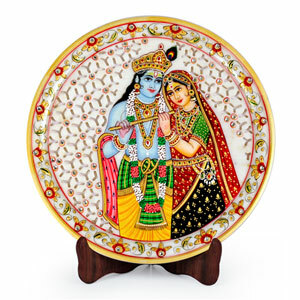 This handcrafted decorative plate is made of marble. 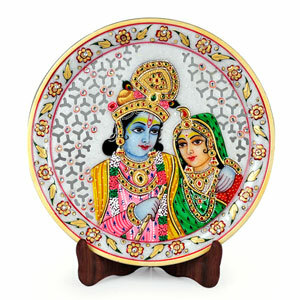 It has golden meenakari work with painting ofRadha Krishna. 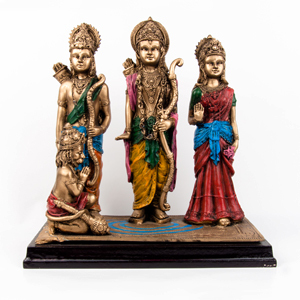 An exclusive show piece for your drawing room is sure to be admired by your guests. 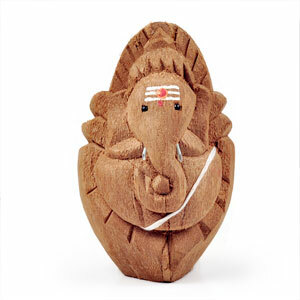 It is also an ideal gift for your friends and relatives. 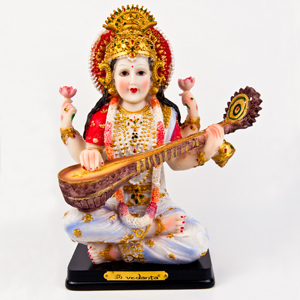 The gift piece has been prepared by the master artisans of jaipur.